When it comes to the body, we all strive for a youthful, firm apperance as well as a smooth tone and texture. There are a number of skin issues that can challenge the appearance of the body. Beyond the visual signs of aging, the body is subject to a host of other skin issues from keratosis pilaris to eczema and acne scarring. These issues are something numerous clients struggle with, which may sometimes significantly impact their self-esteem. There are a host of solutions the professional can provide for many of these issues that include specific ingredients and treatments to achieve healthy skin on the entire body. Keratosis pilaris (KP) is a common skin condition that causes rough patches and small red bumps resulting from clogged follicles. 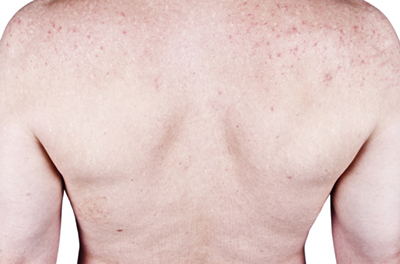 These bumps are typically found around hair follicles on the arms, thighs, cheeks and buttocks.1 While harmless, painless and non-contagious, it is a chronic skin condition that troubles many clients because of its “goose bump” appearance. Anyone may develop KP, though it tends to be more common among children and adolescents.2 There is no known cure for KP, but it usually clears up on its own with time. There are ways to improve the appearance of KP. Since KP tends to worsen in dry conditions, exfoliation and hydration will be key. Overexposure to the sun may also stimulate KP, so educate clients about the importance of wearing a high-quality SPF if they plan to be in the sun. In the treatment room and with home care, focus on ingredients that offer cell turnover and aid in hydration and regeneration. L-Lactic acid. This gentle, yet effective acid assists with cell turnover, while providing hydration and regeneration. in getting the outer layer of the skin to peel. This makes it useful in treating psoriasis, calluses and keratosis pilaris. Retinol. Tissue regeneration and strengthening are encouraged with retinol. In the treatment room, peels and corrective treatments may be performed on the thighs and arms. It is important to note peels are not recommended on the buttocks area. Enzymes and AHAs like L-lactic acid or flower acids will work well with the body’s tougher skin to lift away deeper layers of dead cells. Finish with skin-building and healing ingredients like growth factors, amino acids and oxygenators to stimulate respiration and circulation. Always apply sun protection as well. For home care, recommend clients apply an acid-based topical nightly. Consistency is key and generally a solution of 10% with a pH of 3 will support the elimination in most cases. During the day, a nurturing, soothing serum with ingredients like willow herb, cocoa butter, epidermal growth factors and tocopherols will keep skin hydrated, reduce inflammation and nourish the skin. If a scrub is given, be sure to stress to the client not to over scrub the area. Doing so will bring about irritation and induce inflammation. Eczema, or atopic dermatitis, impacts more than 30 million Americans.3 Although many people see this itchy, red rash on their elbows, neck, hands or back of the knees, it is not contained to a specific part of the body. Skin impacted by eczema will be dry and sensitive and the skin to crack can become extremely uncomfortable in some cases. Eczema and psoriasis often are confused, as they appear on the skin in similar ways–red, scaly patches on the elbows, knees or scalp. 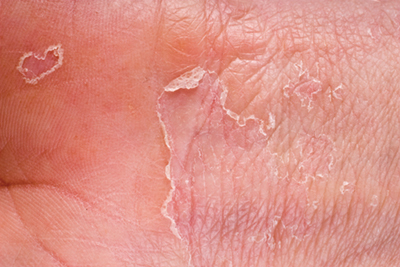 One sign it may be a case of psoriasis, is the skin will often feel stinging or burning. The cause of eczema is not known. Some physicians believe eczema may be inherited or linked to allergic diseases. The client should be aware of triggers, including: soaps and detergents; extreme temperatures (hot or cold); foods like dairy, eggs and soy; and common allergens like pollen and dust. Stress is also an important trigger to note. If you are unsure whether a rash is eczema or psoriasis, refer to a dermatologist or physician.4 The goal with skin impacted by eczema or psoriasis is to heal, nourish and hydrate. Turn to ingredients with anti-inflammatory properties, as this will help create a healthy environment and allow for skin healing. Look to the following ingredients for help. Linoleic and oleic acids. Supportive essential fatty acids promote healing and provide lipids that are close to the skin’s own natural lipids. This soothes discomfort and dryness, while increasing hydration in the epidermis. Arnica montana. This natural healer and anti-inflammatory soothes chapped skin and eczema while healing. Witch hazel. Witch hazel is a rich antioxidant with astringent, anti-inflammatory and antioxidant properties. It soothes and heals problematic skin conditions and protects cells. Hyaluronic acid (L-sodium hyaluronate). This principle water-regulating molecule binds up to 6,000 times its weight in water. It plumps, lubricates, hydrates and prevents transepidermal water loss. In the treatment room, avoid active correctives. The key will be to offer gentle exfoliation, nourish and heal the skin. Also, create an environment for deep relaxation in an effort to reduce stress levels. If this is a full blown case that has spread across the body, you may want to refer your client to their physician or naturopath. Healing ingredients, such as those mentioned above, applied daily will relieve and keep eczema at bay. For clients with eczema it will be all about prevention and education. Arm them with the tools and knowledge to help them take good care of their skin. For instance, they should avoid hot baths and showers; moisturize daily, particularly after bathing; wear softer, loose fabrics; and use a humidifier in dry or cold weather conditions. For home care, a custom system comprising of omega 3 essential fatty acids, growth factors and hydrocortisone compounds will be essential for caring for eczema-challenged skin. Acne scarring is a common issue, which challenges a number of skin care professionals for the variety of ways it appears. It can take on different forms in different skin and appear in varying degrees of severity. Acne scars may be in the form of depressed scars, or pits, or they may take the shape of raised scars known as hypertrophic scars. In some cases, there may be some discoloration. The key is to understand and properly identify the type of scarring so you may create a customized treatment. Scars form when an acne breakout penetrates the skin deeply, damaging the tissue beneath. Once the acne breakout clears, the body works to repair the damage, which stimulates collagen production. If too little or too much is produced, a scar will form. If not enough collagen is present, a depressed scar may form. Too much, and a raised scar may result. Knowing the type of scar will aid you in determining the best course of treatment. When treating acne scarring, the goal is remove surface cells to allow other nourishing and corrective ingredients and oxygen to penetrate the skin. Keep in mind, scar tissue is difficult to address, particularly on the body. While it is possible to reduce the appearance of a scar, it is a permanent mark and the damage will remain at the dermal layer. With an understanding that damage will remain at the dermal layer, there is plenty we can do in the treatment room and with home care to help soften the tissue and reduce the rigidness to improve the appearance at the surface level. Corrective topicals will be key. Alpha hydroxy acids (AHAs). These will seep into the cells to stimulate cell regeneration by loosening the ceramides holding the cells together. Salicylic Acid. This acid exfoliates and stimulates cell turnover. It is also particularly effective in getting the outer layer of the skin to peel, which makes it useful in treating psoriasis, calluses and keratosis pilaris. Retinol. This anti-aging active encourages tissue regenerating and strengthening. Retinol is beneficial in treating scar tissue, as it works to “re-educate” damaged cells, speed cellular production and improve circulation. Depending where the scarring is on the body, modalities that typically work to smooth acne-scarred skin include body peels, microneedling and microdermabrasion. With any corrective treatment, caution must be exercised. Take into account the full picture of the client’s skin issues, ancestry, lifestyle and any current health issues. Also be sure to read the client’s skin during the treatment. Peels. Higher-strength acid formulas such as a TCA/AHA combination, flower acids and vitamin A with peptides will create necessary exfoliation action, while delivering repair and strengthening qualities. Microdermabrasion. This is effective in reducing scars, as it removes cells of the stratum corneum allowing other corrective and nourishing ingredients to better penetrate the skin. A mid-depth or deep treatment will work best. Following microdermabrasion, a skin-strengthening peel will be essential, as the skin needs to be rebuilt from the inside out. Microneedling. Deeper microneedling procedures work well to remodel scar tissue, but caution must be exercised here. If pushed too deep, subcutaneous scarring may occur. Epidermal growth factors, peptides, hyaluronic acid and essential fatty acids will support the restoration, repair and strengthening of their skin. A mineral SPF is a must daily. Regenerating, corrective topicals such as retinal or salicylic acid may also be used to provide gentle exfoliation. While fat is certainly one component of cellulite, it is only part of the story. Fibrous connective tissue adheres skin to the muscle beneath. As the body ages, this connective tissue contracts and stiffens, causing it to pull down or tighten the skin to push the fat cells out against the skin. While there is no actual cure for cellulite, a healthy lifestyle will go far to prevent and correct it. There are also ways esthetic professionals can help greatly improve the appearance of cellulite by increasing circulation, flushing toxins and strengthening collagen. Body peel treatments and a good home-care system will be effective in supporting this effort. Keeping in mind the goal is to increase circulation, flush toxins and strengthen collagen, there are several ingredients that will support this. Exfoliators. Physical exfoliators like pearl powder and bamboo will scrub away dead surface cells while stimulating circulation. Enzymatic exfoliators like L-lactic, glycolic and L-malic acid also provide surface exfoliation and repair tissue damage. Goji berry. A superfood and powerful antioxidant, which stimulates cell regrowth and repair while improving detoxification. Organic stem cells. This ingredient supports antioxidant activity, skin strengthening and the skin’s ability to resist oxidation. There are a number of non-invasive treatments like body peels that skin care professionals may use to support clients in diminishing the appearance of cellulite. Using a body peel acid with L-lactic, salicylic and citric acid will soften skin cells, stimulate cell turnover and deliver antioxidant support. Alternatively, a vitamin A peel formula with peptides will also work to regenerate and firm the skin. Corrective treatment should be followed with rebuilding ingredients like growth factors, peptides, antioxidants and organic stem cells. Advise clients to exfoliate with a granular scrub to remove dead skin cells and give skin a polished glow. This may be used as a “dry rub” prior to the shower. Clients can increase circulation using an energizing formula of peptides to awaken, retexturize and oxygenate the skin. Stem cells, growth factors and peptides can help tone, reform, renew and repair the skin. Always advise clients to protect their skin with a natural physical blocker like zinc. Clients may not always feel comfortable offering up skin issues they may be experiencing on the rest of their body, as this can be a sensitive issue. Informative posters and counter cards placed throughout a spa facility about common skin challenges can put them at ease and spark the dialogue. Otherwise, regular check-ins with clients also provide an opportunity. Ask what is working for them and what is not and see if any new concerns have come up for them. This creates a more natural dialogue and comfortable environment for them to talk about it. Rhonda Allison, a pioneer in the skin care industry, is the Founder and CEO of Rhonda Allison Cosmeceuticals and RA for Men. 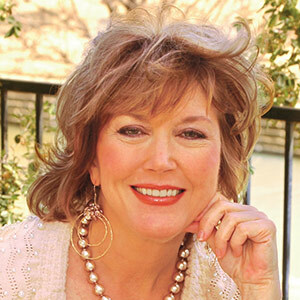 She is also an author and internationally known speaker with more than 30 years of esthetic experience. www.rhondaallison.com and www.ramethod.com.